How to Make Shredded Chicken is a staple recipe to use in so many ways. 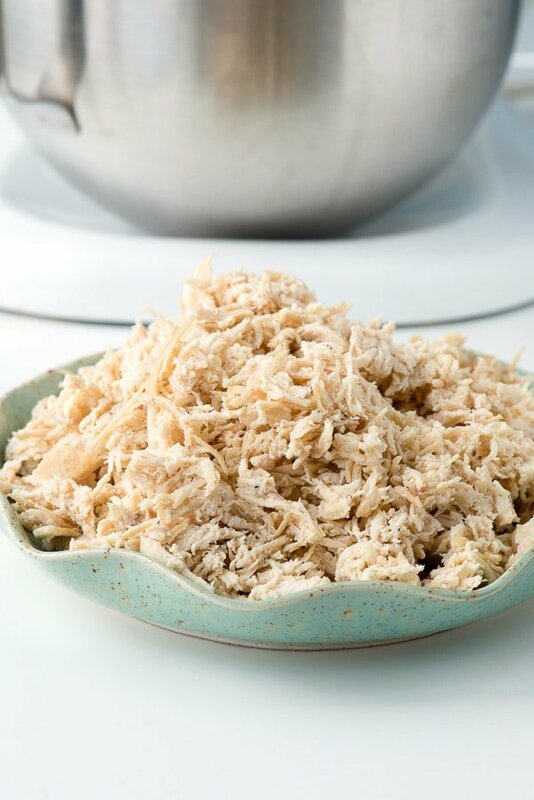 This shredded chicken recipe is easy, fast, less expensive to make yourself with fantastic flavor and a fun mess-free shredding trick! 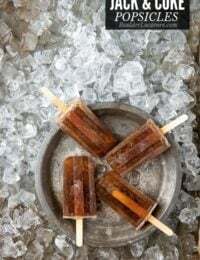 Sometimes it is the most simple of recipes that become the most useful and loved. A great example is this Moist Homemade Shredded Chicken Breast recipe. 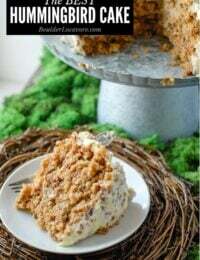 It’s simple and something used in many recipes AND is much better homemade. 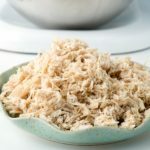 After making this easy, moist Homemade Shredded Chicken Breast recipe, you’ll never be tempted to buy shredded chicken again! It’s done in 20 minutes from cooking through shredding, with fantastic flavor. A special trick makes shredding fast and mess-free! 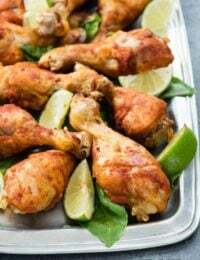 In the past when I needed shredded chicken for a recipe I would go to my local market and pick up a moist, succulent rotisserie chicken they crank out a few times a day. Once home I’d pull off some of the breast meat and using two forks would shred the meat by hand. This was convenient and I did rarely had time to make a chicken myself. That is, until one day when I had little time to make a recipe using shredded chicken breast, and there weren’t any rotisserie chickens at the store. I was out of luck! Instead I bought some boneless, skinless chicken breasts, already having a fabulous way to cook them quickly without losing any moisture (you can see an example in this Tarragon Pesto Chicken Breast with Dressed Greens recipe). 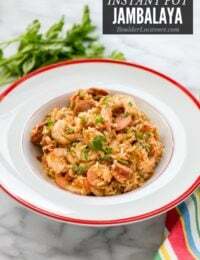 With a few tweaks I found a great way to make homemade shredded chicken breast, keeping the meat more flavorful as with roast chicken, rather than the flavor of stewed chicken which is another way to make shredded chicken. 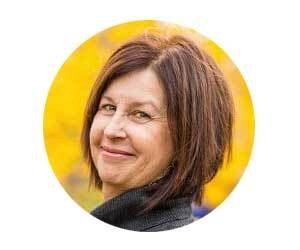 The process is super simple and it’s done in less than 20 minutes! The best part? It’s shredded in a mixer; no forks required. There are some tips for using the mixer shared below and you can watch the video too. Making this homemade shredded chicken recipe is so easy and makes the best shredded chicken ever! Please refer to the recipe card below for recipe specifics. 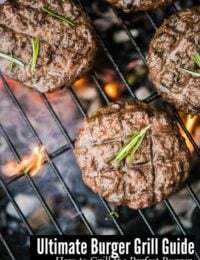 In a large skillet with a lid, preferably non-stick, heat the olive oil over medium heat. Salt and pepper the chicken breasts and them to the pan to brown for 4 minutes. Flip over and brown for another 4 minutes. Add the chicken broth, reduce to medium-low, put the lid on the skillet and allow to simmer for 5-8 minutes. NOTE: Chicken should register 160-165 degrees (it will continue to cook when removed from heat). 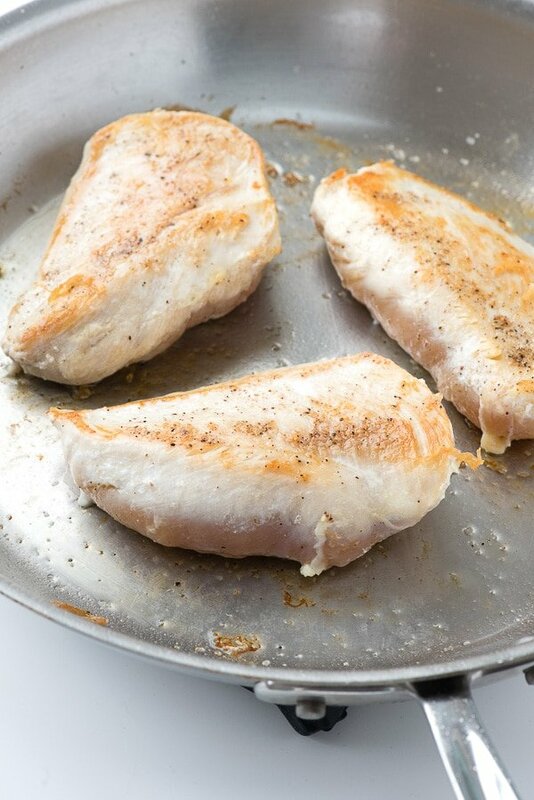 Remove the chicken from the skillet and allow it to rest for 3 minutes. Place the chicken in the bowl of a standing mixer. Turn the mixer on the lowest setting, or 1, and mix until the chicken is shredded to the desired texture. The chicken must be warm to shred well however allowing it to rest a few minutes creates the best texture without becoming stringy and dry. Do not run the mixer over the lowest setting and be sure to stop the mixer as soon as the desired texture is reached. 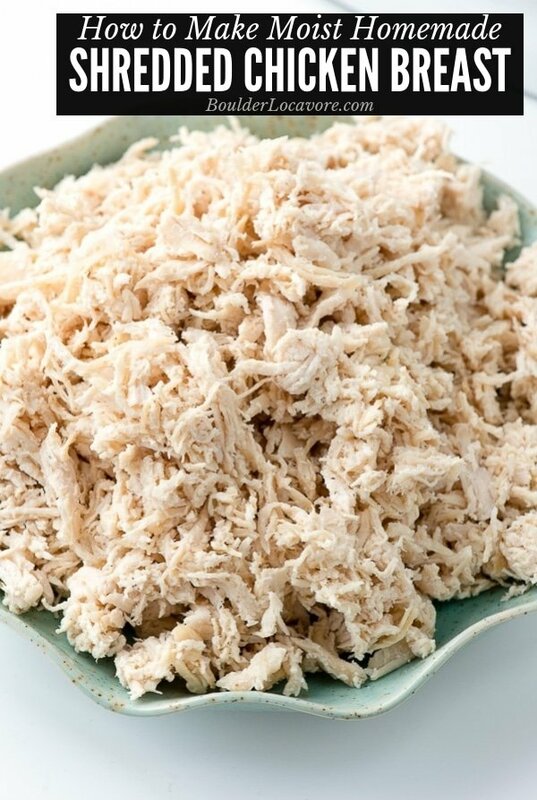 Making shredded chicken in different sizes is easy by controlling the length of time the mixer runs. For large pieces, run the mix only briefly. For finely shredded chicken breast, run it longer. Approximate times: 20-30 seconds for larger pieces; 45-60 seconds for the fine shredding shown in the photos. Watching the shredding and stopping the mixer when it’s done is the way to go. 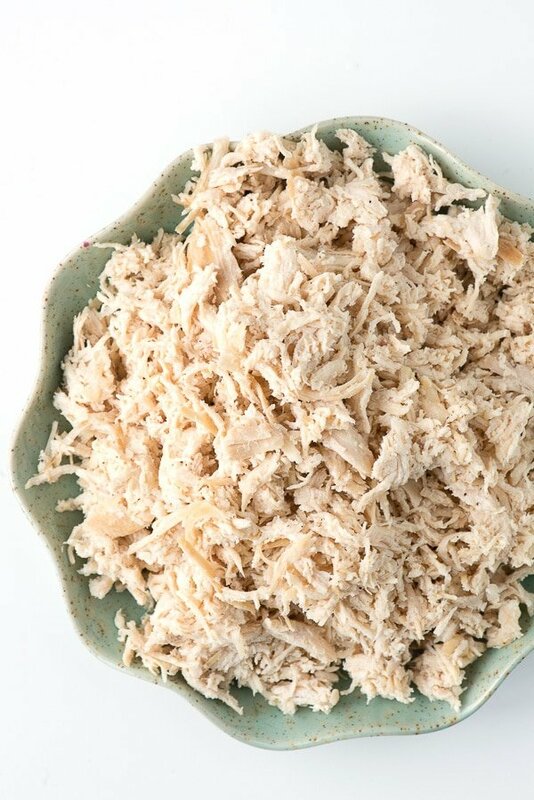 Store homemade shredded chicken in an airtight container in the refrigerator. 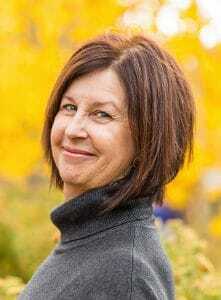 Store in freezer bag or freezer container and freeze for future recipes. 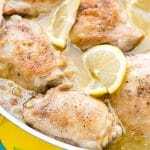 The Best Chicken Breast Cooking Recipe too! 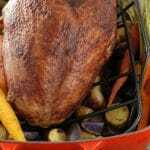 Though this recipe is geared toward how to make fantastic homemade shredded chicken breast, the method to cook the chicken is also a winner. 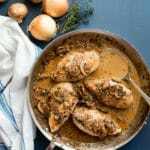 It is the way I always cook boneless skinless chicken breasts for recipes like Pink Peppercorn Sherry Cream Chicken. Chicken breasts are a lean cut of meat especially when cooked boneless and skinless. 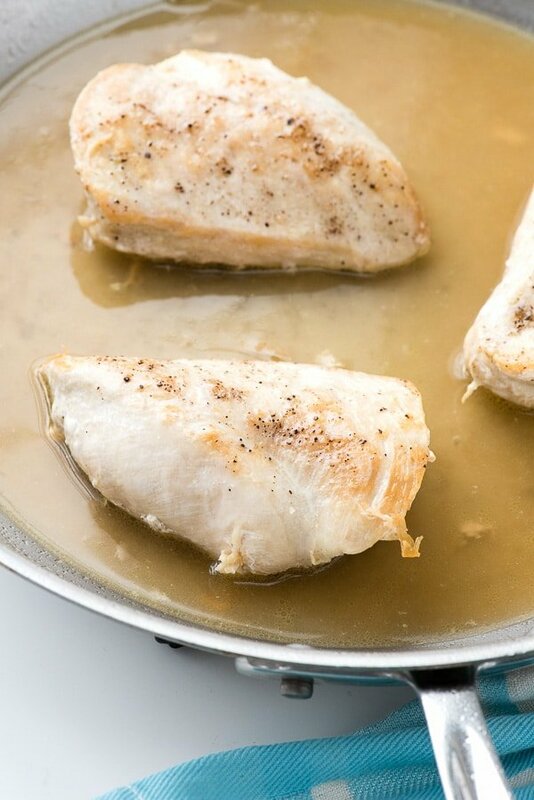 This cooking method makes moist chicken breasts every time with great flavor and it’s SO easy! Once you make chicken breasts this way you’ll never want them any other way! There are various brands that make both of these items in multiple price points. 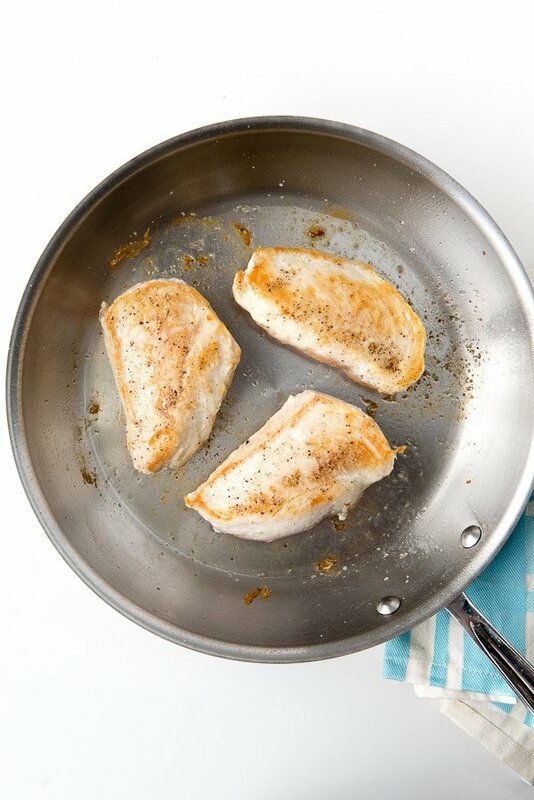 Cooking boneless chicken breasts in this method keeps them moist and flavorful. Shredding it is quick and easy in a standing mixer. The recipe may be adjusted proportionally for a larger batch. The chicken may also be frozen for later use. Sprinkle chicken breasts with the salt and pepper. In a large skillet with a lid, preferably non-stick, heat the olive oil over medium heat. Add the chicken breasts and brown for 4 minutes. Place the chicken in the bowl of a standing mixer. Turn the mixer on the lowest setting, or 1, and mix until the chicken is shredded to the desired texture (20-30 seconds for larger pieces; 45-60 seconds for the fine shredding shown in the photos). Note on shredding: The chicken must be warm to shred well however allowing it to rest a few minutes creates the best texture without becoming stringy and dry. Do not run the mixer over the lowest setting and be sure to stop the mixer as soon as the desired texture is reached. I love to make a big batch of shredded chicken on Sunday’s to use throughout the week! So versatile! What a great way to shred chicken! This will be great for my family’s taco night! I made this for dinner tonight and my oh my! She’s a keeper!!! 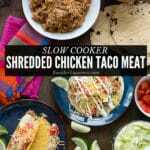 I make shredded chicken all the time for soups, burritos, enchiladas, you name it! I always keep shredded chicken on hand!! I use it in so many recipes! It’s super easy to cook up & shred! I so have to try this. I am in competition prep and chicken is a huge staple in my diet. 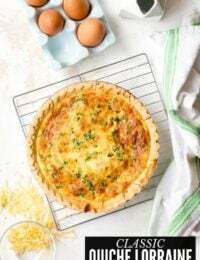 I love the idea of making this on Sunday and using it throughout the week. Perfect! Oh My Gosh this is amazing! Thank you so much! I needed to make pulled barbeque chicken for a teacher’s luncheon and this turned out perfectly!!! Yum! You are making me wish I was a teacher right now lol.